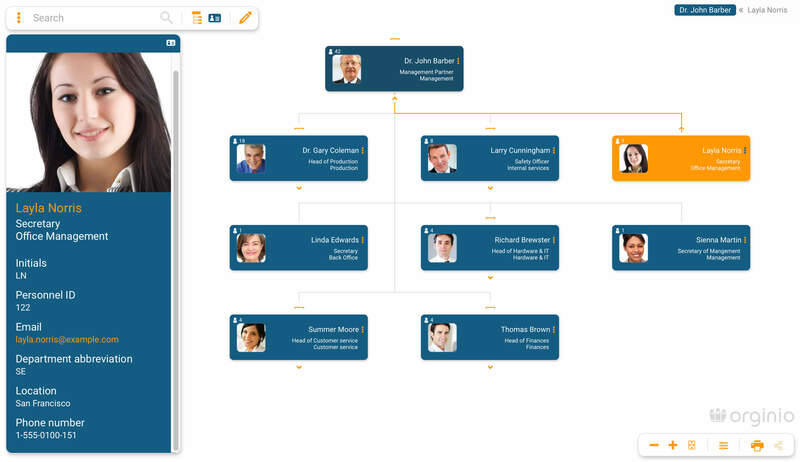 orginio is a cloud software for the creation of org charts. As a special feature, orginio does not require the connection to an HCM system. Instead, organizational hierarchies can be visualized by either starting the design from scratch or by uploading workforce data from an Excel file. In adition, orginio comes with a very flexible pricing program allowing you to pick from five different feature sets. It’s the perfect solution for small and medium-sized businesses or subsidiaries. See how orginio can save you time and effort. orginio, the cloud-based software for small- and medium-sized enterprises, offers a basic framework as well as some smart designs for organizational charts. In addition, it is also possible to apply your corporate design and integrate the company logo. The application provides key metrics for team or project leaders to see. Based on individually specified rules, objects can either take on predefined colors or they can be blanked out. In display mode, every employee is able to navigate interactively through the corporate structure. Information is quickly located by using the search function. Views can be printed or shared with colleagues. Aside from initially building your organizational chart online, you are also always able to access and edit it within the cloud. For example, perform reorganizations via drag & drop, or add important information of an employee. Information maintained in orginio can quickly and easily be transmitted to Ingentis org.manager via a powerful interface. With just a few clicks, you can expand the data from your central HR system with structures from orginio. This way, your group or company organizational chart is complete and up-to-date at all times. 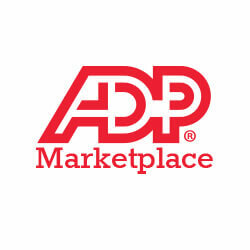 Start the orginio application in the ADP Marketplace. Create your org chart with data from ADP Workforce Now and ADP Vantage HCM at the push of a button. 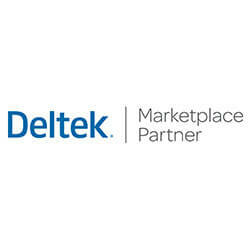 orginio is available on the Deltek Product Partner Marketplace. 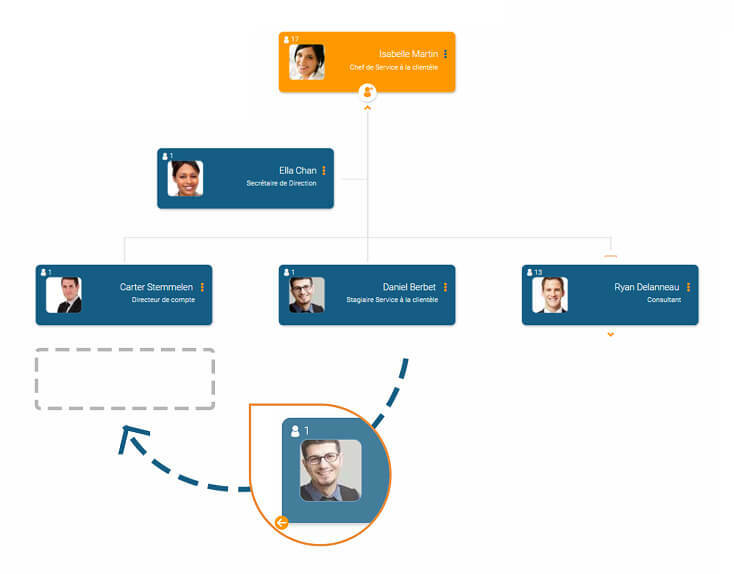 Check out the orginio listing and learn more about org charts based on Deltek data. orginio can be connected to BambooHR. 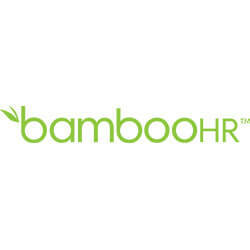 Visit the marketplace and check out how data from BambooHR software can be visualized. The data uploaded to orginio is securely and reliably stored in certified data centers. You decide whether this should be a European or US based data center. Do you have any questions regarding orginio? Are you interested in a consultation? Don’t hesitate to contact us via the contact form below. We look forward to you hearing from you!